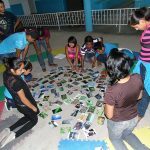 Cooperativa AMBIO was founded in 1998, and is a pioneer in supporting mitigation and adaptation to climate change activities to support marginalised communities in the south of Mexico. We work alongside with the communities to design and implement interventions that ensure the long-term viability of their crops, the health of their soil, water and the long-term management of other natural resources. We also incentivise sustainable land-use practices via the Scolel’te program. Scolel’te was initiated in 1997 and is the longest-running voluntary Payment for Ecosystem Services (PES) scheme in the world. The insights developed in the start-up phase of the program facilitated the development of the internationally acclaimed Plan Vivo methodology.The Plan Vivo standard maintains best-in-class requirements for the delivery of social benefits to communities, and certifying the capture and storage of atmospheric carbon. Plan Vivo is now used to certify over 160,000 hectares distributed among 20 PES projects from Southeast Asia to Africa and Latin America. 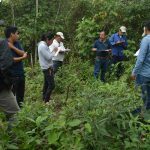 In addition to our reforestation and climate change mitigation and adaptation activities, AMBIO also leads a cross-institutional approach for wildfire management in and around Natural Protected Areas (NPAs) in the state of Chiapas. We collaborate with government agencies, civil society organizations, international donors and local communities in order to assess high-risk areas and perform landscape-scale wildfire prevention accordingly.  Likewise, AMBIO offers punctual technical support and capacity and community building activities in line with communities’ productive objectives, and our environmental goals. These include agricultural training to diversify smallholders’ income sources and establish resilient agricultural ecosystems, promote better livestock management, and the reintroduction of indigenous tree and crop species in and around monocultures. We have also helped establish cooperatives to help smallholders reach better markets for the goods they produce. AMBIO has over 20 years of experience working with and efficiently implementing funds from a range of funding sources. Previous collaborators include the Spanish Agency for International Development Cooperation (AECID), the United States Agency for International Development (USAID), the Global Environment Facility (CI-GEF), the United Nations Development Program (UNDP), The Nature Conservancy, Conservation International, among other international funders, as well as a variety of private sector donors. 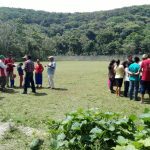 AMBIO began operations at the outset of the Scolel’te program in Chilon in the Northern Jungle of Chiapas, as well as in the Border Zone in Marqués de Comillas. After 2000, we saw a period of rapid growth and began operations in over 90 indigenous and rural communities distributed throughout the Chol region, the Lacandon Jungle, Central Highlands, Tseltal Region, Zoque Region, and the southern Sierra Madre. 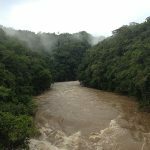 We now also work in Natural Protected Areas (NPAs) such as the Montes Azules Biosphere Reserve, Lacandona Community, the Biosphere Reserve Jungle El Ocote and the Usumacinta River in Tabasco. Due to our long trajectory, extensive field experience, and the high regard of the communities where we work, AMBIO participates in various committees at the state and federal level. From 2011 to 2013, AMBIO presided over the Technical Consultative Committee for REDD+ in the state of Chiapas. We are also part of the Working Group for Mexico’s National Strategy for REDD+, the National Forestry Council, the Resilient Mexico Alliance, as well as the Technical Advisory Councils on Environment and Climate Change of the State of Chiapas and as a member of the International Union for the Conservation of Nature (IUCN), region in Mexico, Central America and the Caribbean. AMBIO has been recognized nationally and internationally for the quality of its work. In 2010, Scolel’te was selected as one of the 25 best social initiatives in the Iniciativa Mexico awards. In 2012, AMBIO was a finalist of the UNDP’s Equatorial Prize, and in 2013 the organization received the Premio Nacional al Mérito Forestal, awarded by CONAFOR, Mexico’s National Forest Commission.